I bought golden letter balloons for my crafty business’ birthday photobooth to spell out FEED THE FISH CO and I’ve been waiting for an occasion to use them again, especially since I could scramble up the letters to spell COFFEE. Enter (or rather exit) my coworker’s two week notice. He loves coffee, we loves coffees, I have a coffee sign. 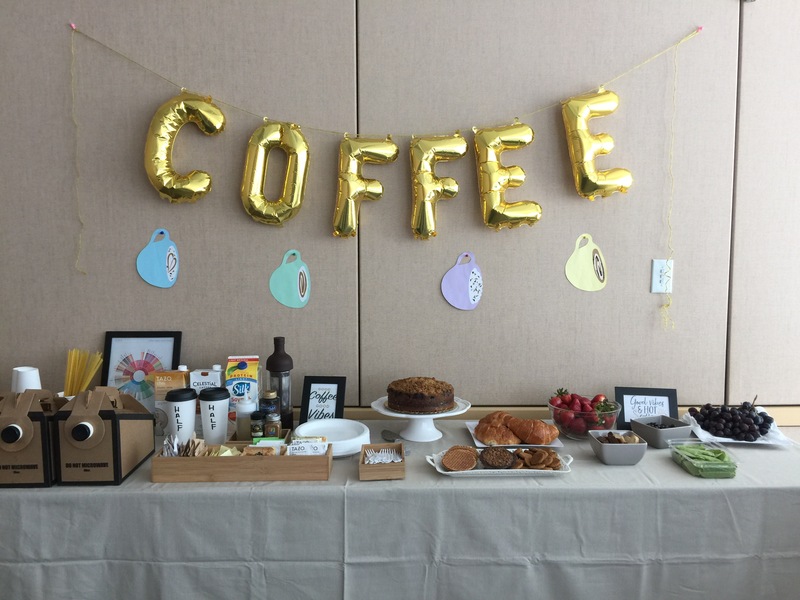 A coffee party was meant to be! 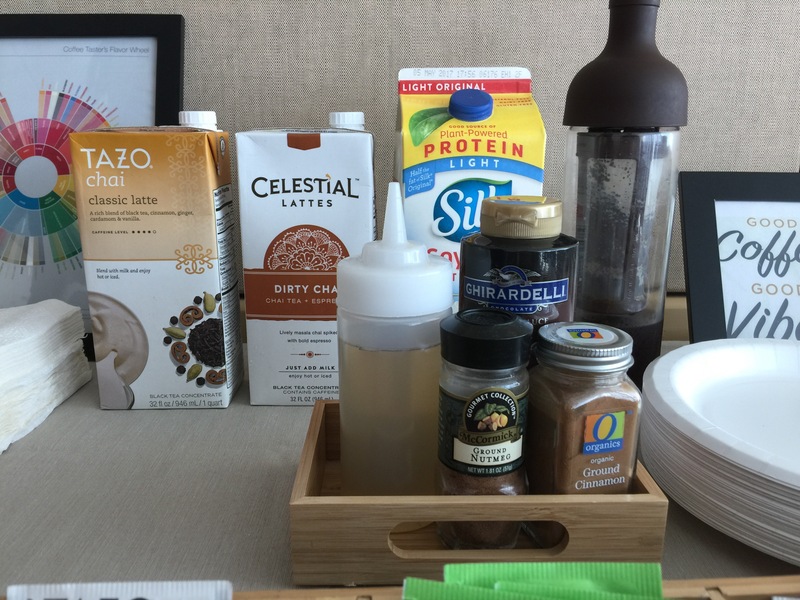 We picked up coffee from Catahoula Coffee; it came with cups, creamer, sugar, and stirrers (they use pasta!). 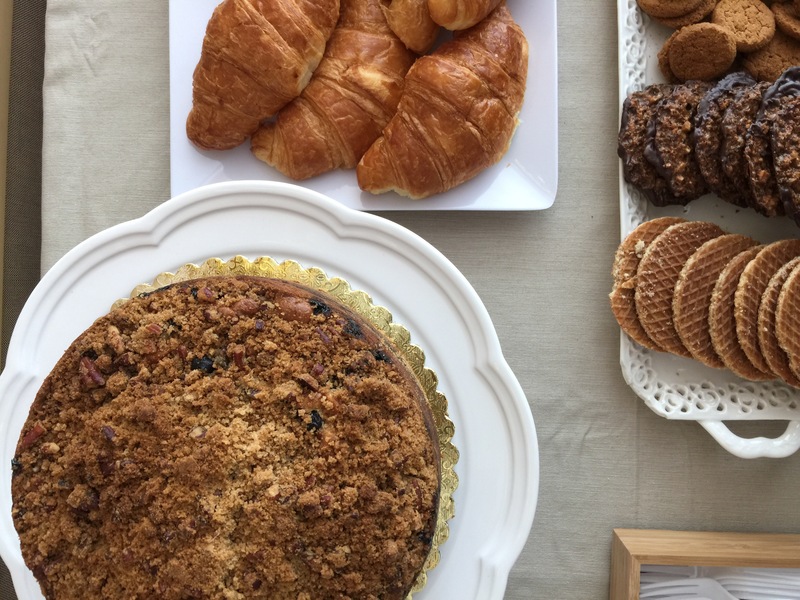 We gathered coffee accoutrement, pastries, and treats from all over — the blueberry coffee cake was from La Farine, yum! I made rosemary simple syrup to share, and I’m getting good use out of my craft show display items since they double as party ware! I can also spell SIFT with my letters. I may need to throw a baking party next…oh yeah! How do you office party? Share your quick tips below. 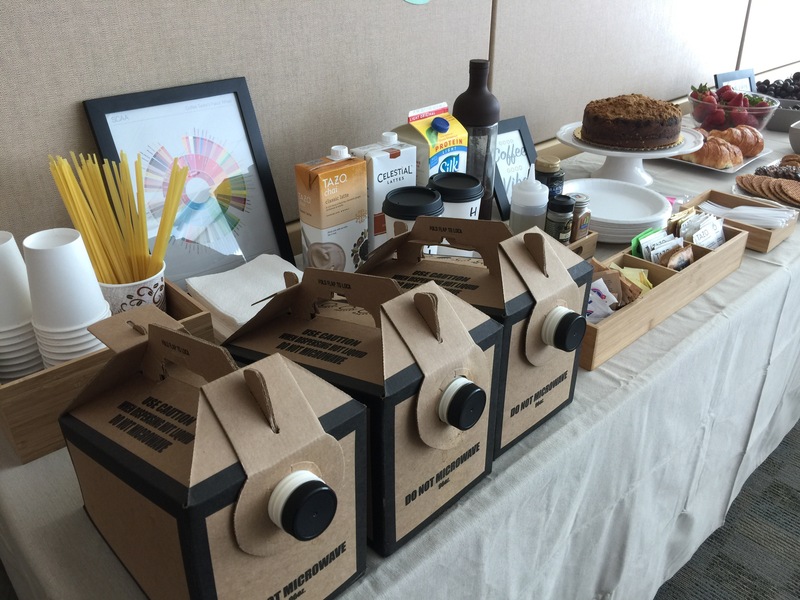 This was such a great office celebration idea! Please do consider a SIFT baking celebration next, sounds like my kinda party!